I have a little planner issue (in that I love them all!) I have spent YEARS figuring out which ones will work best for me and my life. If you are looking for a comprehensive overview of ALL the planners out there, you have come to the right place! Fun factor – This is a combination of cuteness and graphics. I am a huge fan of a pretty planner so that matters to me! 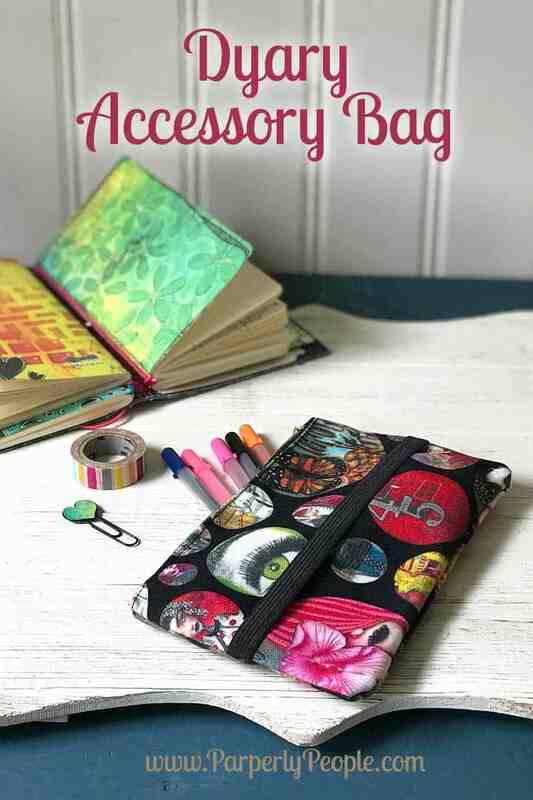 Accessories – If you have a planner but nothing extra to buy, is it really a planner? Okay, I have an accessories problem! Options – Some of the planners are very structured and some are more flexible, here is a quick overview of your ordering choices! Cost – There is no price too high for the perfect planner, but for all the other ones, it is nice to know what you will have to shell out to get them! 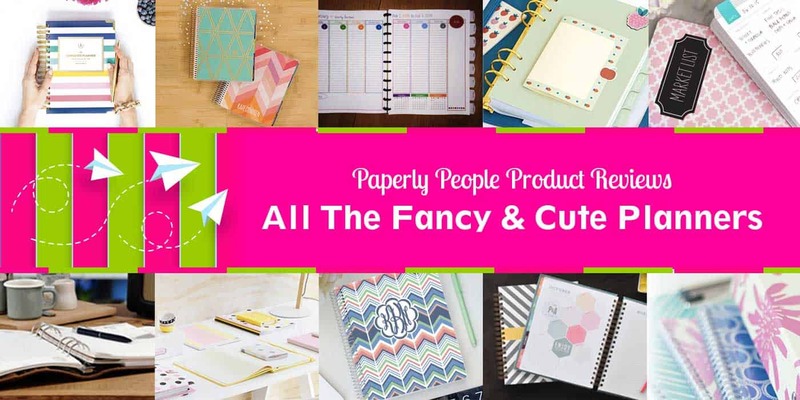 Here are all the fancy and cute planners that I could find on the planet! If you know of others that I missed please let me know! Fun factor – I carry this planner around with me EVERYWHERE. It is so pretty and fun with the gal on the front (I had a blue bird last year that was cool too! Accessories – There are fun accessories for this planner including the bag shown clips, folders and extra elastics. Options – I love that there are so many different kinds of planner inserts to choose from! You can use plain, lined, grid or even an “agenda” weekly calendar spread! Any travelers notebook accessories will work in this planner. Cost – Super affordable!… $25-ish for the starter planner. Fun factor – I like how colorful the “bookmarks” and stickers can make this planner. I also love the little tracker and grid sections in the weekly view! Accessories – It comes with those stickers, but there aren’t specifically extra accessories for this planner… it is a kind of “fully ready to go”. 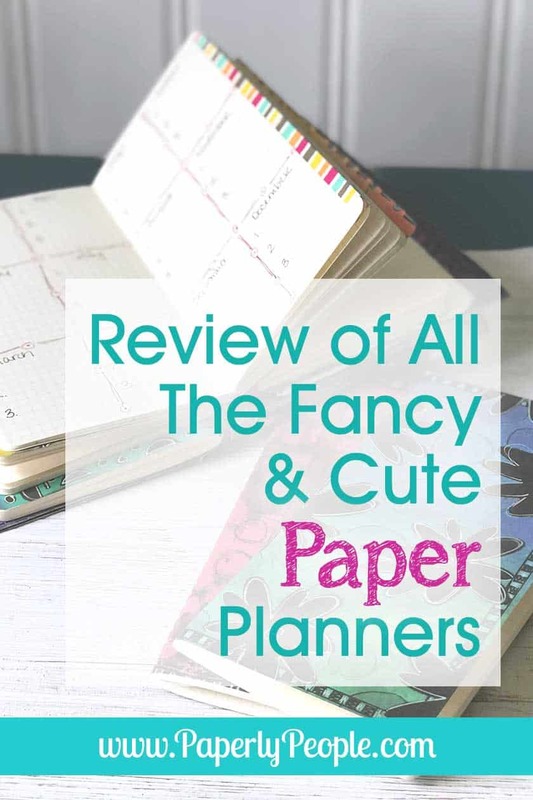 Cost – Super affordable!… $25-ish for the planner. Ease of Use Award – This one, of all the planners I reviewed, is the easiest to use right out of the box. Sometimes you want cute and fun without all the extra bits. 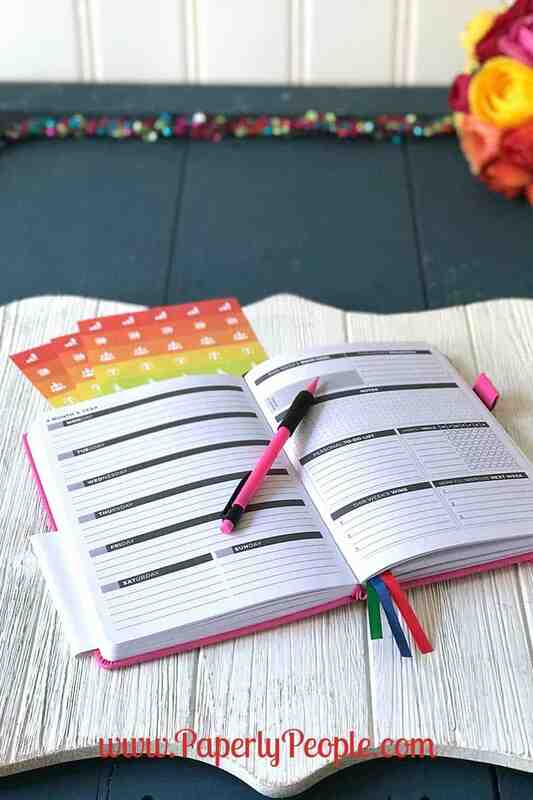 This planner does it in spades AND has fun colors to choose from too! disclosure .. Clever Fox was nice enough to send me a free planner, that said, I never review a planner that I don’t actually like! Fun factor – This is the planner that I use for my family “stuff”. I love that it is half planner and half journal. I print out pictures from my Instagram and put them on the date that they were taken. Accessories – I LOVE that there are so many people making extra things for my Erin Condren calendar. I have gotten pre-cut washi tape, a gorgeous cover and many other add-ons for the Erin Condren Life Planner. Options – Just this year EC added a horizontal layout to their classic vertical printouts. There are a MILLION different covers…okay maybe not a million but A LOT of different covers to choose from including uploading your own. You can also choose from plain silver, gold or rose gold bindings. Cost – On the higher end of the basic planner cost range… $50-75 for the starter planner. Oh, oh, oh this may be my next year’s planner. I love that you can customize so much of this one! Fun factor – These are just as cute as a bug! A big note though is that the silver coil on this one is said to be less durable than the Erin Condren ones. Accessories – There are lots of extra “goodies” available for this planner. Options – OMG there are tons of options for this planner including 4 page setups, blog planning pages, to do lists, contact lists, bill trackers, cleaning charts and even a MLM addon. Cost – Mid priced starting at $31 not counting the addons. My addons would be about twenty bucks which gets it to Erin Condren pricing…but with the Plum I have all kinds of extra pages that are tailored to what I need. Fun factor – Not cute at all inside. Much like the Filofax insides. Accessories – This are not a ton of different use made accessories for this one. Options – They are “get them as they are” planners. In addition they are not coil bound, instead they are like a book with a normal binding. Fun factor – I am not sure I feel like these are as fun as some of the “girly calendars” although they do have some new cuter covers than I have seen in the past. Accessories – There are scads of accessories provided by the company in addition to printables done by random people! Options – You buy the inserts for this organizer separately so you can customize it any way you like. Cost – These start out okay and become some of the priciest due to leather covers $40-150. Fun factor – Seems to have some neat extra bits. The site is locked right now so I can’t really see all the options. Accessories – There are much fewer options for user generated accessories than there are for some of the other calendars. Options – You can get either horizontal or vertical setup and tons of cover options. That said the coils look like they might not be as strong as some of the other ones reviewed above. Cost – $54, it seems like an additionally pages added would be through downloads and you printing it out! Awesome post! I’m a planner freak 😉 too! I’ve tried a lot of planners and can never quite find the ONE for me. The EC planner comes close but I don’t like the weekly pages they have… unless they’ve some new ones I haven’t seen yet. Anyway I make my own in a composition book. I LOVE the look and versatility that affords me as I can make it perfectly the way I want it. Also allows me free reign with my creativity, I doodle, add magazine cutouts, cute stickers, stamps, and lots of washi tape…. oh my I LOVE that stuff! It’s so much fun to make your own, and there are so many ways to do it! Thanks for all the links, I’ll be checking them out. I do like the Passion Planner, glad you included that one!